In this All Saints podcast, Connie and Brock talk with Brad Kilman, the worship pastor at Our Lord’s Community Church. Brad has been leading worship for more than 20 years, ever since he encountered God as a teenager. 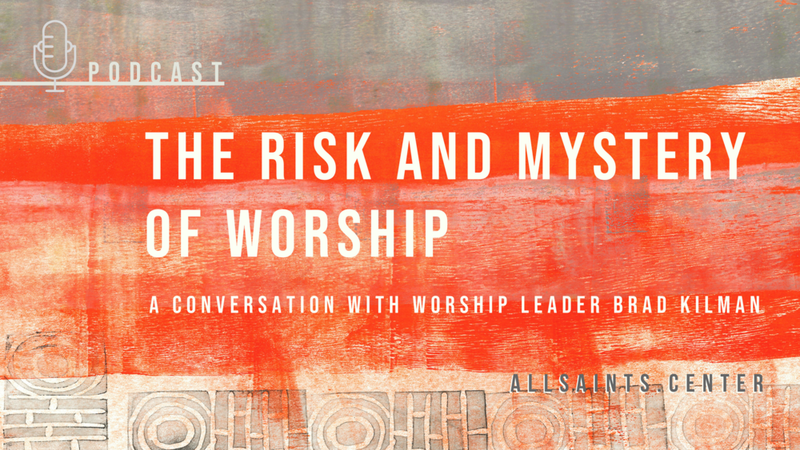 In the conversation together, we explore the risk and mystery of worship — and talk about what Brad would say to a roomful of young worship leaders. Often, there is risk in this expressive level of worship. When David’s wife Michal saw him, she felt contempt for him. But he replied to her that he was worshiping for God. And then David declared: “I will celebrate before the LORD. I will become even more undignified than this . . .” (2 Samuel 6:5, 21-22). There can also be mystery in this expression of worship. When we draw near to God to praise Him, there are times He draws near to us as well, and we feel and sense His presence in a way our words can’t quite describe. This is the mystery of worship; God may do something amazing in our presence. Or He may not. We don’t know until we show up to worship Him, and we continue to worship whether He does or not. The conversation closes with the ground-level question: “Brad, if you had a room full of young worship leaders, what would you tell them?” Over the years, Brad has mentored many worship leaders, and his remarks are full of his practical wisdom to them. Along with being a worship leader, Brad Kilman is a songwriter. You can find Brad's music by searching on iTunes or Spotify.